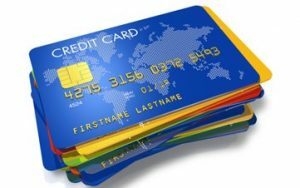 Tap and go – is it too easy to use our credit cards? T alk about hammering the plastic. In November 2016 Australia’s 16.7 million credit card accounts were used to make 226 million transactions with a total value of $27.8 billion. We are currently paying interest on $32.2 billion worth of credit card debt, running up an annual interest bill of over $5.6 billion (that’s $5,600,000,000!). Visit ASIC’s MoneySmart website www.moneysmart.gov.au for more tips.